Alfonso Cuarón’s ‘Roma’ has received tons of praise and hype prior to its Netflix release, with many saying that it will become an Oscar favorite, leading to its ‘Best Picture’ nomination. It has also received accolades for Director and Foreign Language Feature, which makes its chances of being recognized by the Academy that much likely. It is clear that more Awards events are recognizing Netflix films as more than at-home entertainment, but instead works of art. In fact, each moment in ‘Roma’ could be seen as art, from its first shot to the last. It takes skill, work, and craft to come up with shots this engaging. Though I have not seen much of Cuarón’s work, it is clear that he is a master at-hand; ranking with the likes of Steven Spielberg and Alfred Hitchcock as one of the greats. 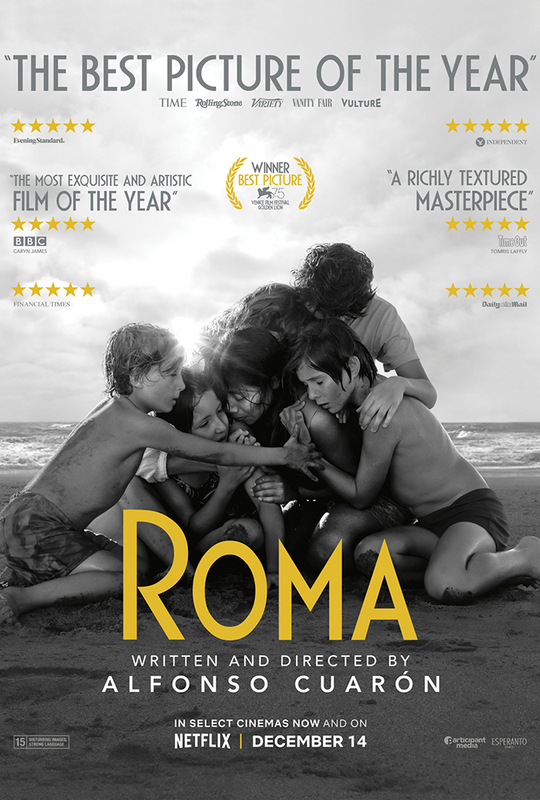 I could just be making an overstatement and stumbled onto a well-constructed film, though with the praise he has received in the past for ”Y Tu Mama Tambien’, ‘Children of Men’, and ‘Gravity’, it seems that he has hit another bulls-eye with ‘Roma’. ‘Roma’ is a look at Mexico City, and the family that inhabits it. However, it is mainly about the family’s maid, Cleo (Yalitza Aparicio), her day-to-day life taking care of the children in the family, as well as the personal struggles she is facing. While some movie-goers may find ‘Roma’ repetitive and lacking in substance, those willing to be immersed in Cuarón’s personal world may find themselves walking with Cleo as well as engrossed by its cinematographic beauty. I have a feeling that ‘Roma’ will be one of those iconic films to be studied in film school. Of course, with Netflix being its distributor, that might be a reality soon enough.